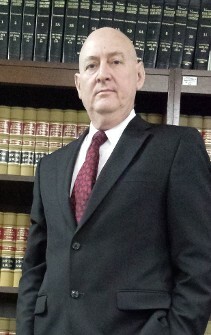 In 2016, I closed out the first phase of my 30 plus years as an attorney in Texas during which I worked predominantly for the State of Texas as a litigator, a hearing officer and attached to a state agency general counsel. I am now applying my knowledge and skills to help the persons and businesses regulated by the administrative agencies of the State of Texas and the federal government. In order to be effective, I closely follow legal developments related to (and I have simplified the official names) the Texas Medical Board, the Physician Assistants Board, the Board of Nursing, the Board of Pharmacy, the Chiropractor Board, the Dental Board, the Psychologist Board, the Licensed Professional Counselors Board, the Marriage and Family Therapists Board, the Social Workers Board and a host of other state licensing boards outside of the health care landscape. I am here to take care of the physicians, the mid-levels (physician assistants and advanced practice nurses), the nurses, the therapists, the chiropractors, the pharmacists, the dentists, the hygienists and all the ancillary professionals who take care of us as patients and clients in offices, clinics, hospitals and treatment centers across the state. And I maintain the same vigilance about what effects veterinarians and the Veterinarian Board who take care of our best friends and our sustenance. Often, these professionals need to obtain competent guidance about federal law and regulation, particularly the National Practitioner Data Bank (NPDB), so I cover that territory, too. There is a significant exposure to risk beyond just malpractice issues through license applications and other licensure eligibility matters, peer review processes, investigations, informal settlement conferences, mediations and litigation at the State Office of Administrative Hearings and other venues. A health care licensee may face a denial, an educational or other remedial requirement, a restriction, a temporary suspension, a sustained suspension or even a revocation. Issues of substance abuse and impairment are particularly dire straits to navigate for professionals who strive for treatment and recovery while avoiding legal consequences that dictate the demise of their livelihood. Sometimes the adjudicatory setting is inadequate to address an administrative law problem, and professionals need to get into the weeds of rule making. Health care professionals sometimes need to be concerned about compliance with laws and regulations before they end up in an adjudicatory setting and resorting to their professional liability insurance coverage or reeling from their lack of it. There are particular health care/medical practice areas, such as pain management, that currently bear tremendous attention and scrutiny from law enforcement, regulatory agencies and the public. The legal environment of the health care professions is going through a radical transformation right now as we transition from the expectations of “fee-for-service” to “quality performance.” Even the least degree of dropping our guard in the health care professions can result in investigations with professional, administrative, civil and even criminal repercussions. My prescription is pretty simple - be prepared and obtain a legal lifeline to a prepared attorney in the increasingly likely event that you will need that resource sometime during your health care career. It is becoming an alphabet soup of acronyms: ACA, MACRA, APM, MIPS, and QPP. Heaven forbid that you have to deal with the DEA, the DOJ or the OIG. My blog is “Doctor Troubles - Medical Boards, Peer Review and the Health Care Law Landscape.” And it is not just about docs. I am privileged to share my (often opinionated) view of the wonderful health care landscape, often through the legal lens, because I particularly want to support and acknowledge the folks who support our health. I particularly appreciate the psychiatrists, psychologists, therapists, counselors and social workers, often working through a recovery treatment center or other facilities. Not board certified by the Texas Board of Legal Specialization. Please review the important disclaimer page. Lee does expect everyone access this website or any of his blogs to read this!